Similar in beauty and performance, the 2016 FIAT 500 Abarth and the 2016 MINI Cooper S stand side-by-side in the small performance car segment. There are noteworthy differences between these two scrappy little cars, however, that you should be aware of. One such difference is MSRP – the 2016 FIAT 500 Abarth starts at only $22,575 while the 2016 MINI Cooper S starts at $24,100. Read on to learn more and, when you’re ready to schedule a test drive in the exciting new 2016 FIAT 500 Abarth, come see us at FIAT of Tacoma. On the inside of the 2016 FIAT 500 Abarth, you’ll find 276 watts of premium Alpine sound paired with voice activated infotainment control that you won’t find in the 2016 MINI Cooper S. In addition, the 2016 FIAT 500 Abarth beats the MINI in rear leg room, so your passengers will feel more comfortable especially on long trips. Performance is key when it comes to choosing a small car and, with the 2016 FIAT 500 Abarth, this is best demonstrated through fuel economy. 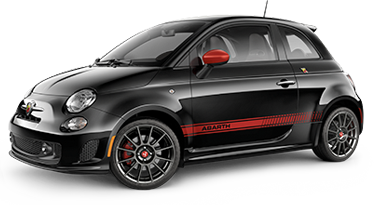 The EPA estimates that the 2016 Abarth can achieve a combined 31 MPG, whereas the Cooper S falls short at 27 MPG. The 2016 FIAT 500 Abarth not only saves you money up front, but in fuel costs down the road. Visibility while driving is key when it comes to your overall safety on the road. The 2016 FIAT 500 Abarth features two convex spotter mirrors on the driver and passenger side for greater visual depth than you’ll find in the 2016 MINI Cooper S. In addition, the 2016 FIAT 500 Abarth features an integrated security system with panic alarm. 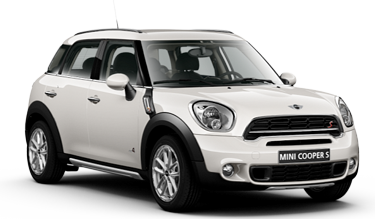 the 2016 MINI Cooper S has no such feature.